SRINAGAR: A mixed contingent of the police, army and CRPF killed al-Badr outfit’s topmost militant, Zeenat-ul-Islam along with his colleague Saturday night. As the two slain militants were lowered in their graves, law and order situation was witnessed in Shopian belt in which a number of persons were injured. The militant duo was killed in a Kulgam village but they belonged to Shopian villages. The entire belt was restive and the tensions were more around their ancestral villages, reports reaching from south Kashmir said. Security apparatus said Zeenat was one of the longest-serving militants in south Kashmir who was recycled into the fold, arrested and released. 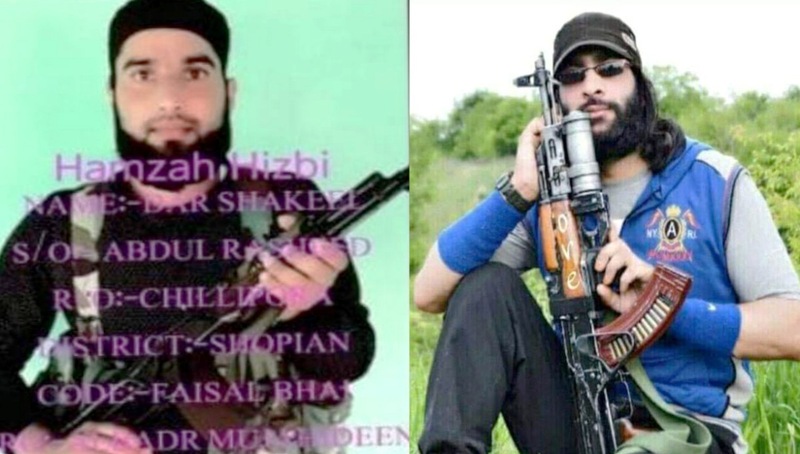 Initially arrested in 2006 for being over the ground worker, he was arrested in Sopore as an al-Badr militant and later released, Eventually, he joins Hizb ul-Mujahideen of Burhan Wani around 2010. Very recently, he developed problems with the outfit and returned to the al-Badr and eventually became its head. The al-Badr outfit, police sources said, is not a big one as it has quite a few recruits on the ground. Part of the restive Qaimoh belt, Kathpora is on the Kulgam-Munand Gufan link road and is surrounded by dense apple orchards. It has a small waterfall. “After the cordon was enforced and the searches started, there was a burst of fire which was quickly retaliated in which the two militants were killed,” Singh added. Residents said Zeenat had actually broken the cordon. He had left his hideout and had reached in Eidgah where an outer ring of the cordon engaged and killed him. “He was almost 400 meters away from the house he was actually holed up in,” the reports said. The encounter was quick. It started at around 5:30 pm and was over by 6 pm. However, the counter-insurgent grid took its own time to hunt for the third militant who was with them. By around 1:30 pm, the police had handed over the bodies to the respective families. “We recovered some arms and ammunition from the slain duo,” the SP said. “Some incriminating material was also recovered.” The slain was identified as Zeenat ul Islam, a resident of Sugan village and his accomplice was Shakeel Ahmad Dar, a resident of Chillipora – both falling in the Zainapora belt of Shopian. Singh said the encounter was clean. “There was no collateral damage and no house was damaged in the encounter,” Singh added. People following Kashmir dateline are aware about the existence of the al-Badr outfit. It existed always for the last 30 years as a smaller militant group but it had times when its recruits hardly crossed a dozen. A resident of Sugan in Zainpora belt, Zeenat, 29, was a son of Ghulam Hassan Shah. Zeenat ul Islam, known in his village as Zain Shah, was a graduate who always was supportive of the militancy. Born in 1989, Zeenat was known overground worker of the militants. He had crossed the LoC and spent more than two months in Pakistan administered Kashmir in 2006. On his return, he was an active militant of al-Badr, till he was arrested in Dangerpora Sopore in late 2009. He was retained in central jail Srinagar for more than six months and it was there that he appeared for his twelfth class, sources quoting the family said. He was imprisoned under Public Safety Act and finally moved out in 2010. After he was released, Zeenat resumed his studies. He completed his BA in 2012. Mostly, he was around the home. In 2014, he joined some NGO. That year he married Aliya, a resident of Chitragam village. On May 20, 2015, he became the father of a daughter, family sources said. On November 18, 2015, he told his family that he was going to Pulwama for some work but never returned. Much later, the family came to know that he has gone back to militancy. He had actually returned to his parent al-Badr outfit. Later, he migrated to Hizb ul-Mujahideen, the major militant group that lacks any ideological tensions with the al-Badr. After serving with Burhan Wani and surviving as a member of the outfit, even when Zakir Musa left and joined the Ansar Ghazwat-ul-Hind, Zeenat remained in the Hizb. Clashes between mourners and government forces in Sugan village of Shopian on Sunday, January 13, 2019. Police said they have a lot of cases against Zeenat. An IED expert, he was responsible for a series of weapon snatchings. In fact, when a number of assault rifles were looted from a lawmaker’s home, it was Zeenat posing with those looted weapons. Police records hold him responsible for the killing of three soldiers and a woman on February 23, 2017, in Shopian. His actions had pushed him up in the wanted list. He was one of the top 12 wanted militants having a huge reward of Rs 12.50 lakh on his head. During his years of militancy, family sources said the counter-insurgency grid literally axed the apple orchards of his father and his father-in-law. In fact, the homes of both the families were damaged to the extent that his in-laws still live away from their home. Reports said the police had approached his father to persuade his son for surrender but he did not do it. Police said the encounter was so quick that they had no time taking that angle into account. Though Zeenat’s killing reports went viral on the social media last night, the police confirmed his killing only later in the midnight. A formal statement, however, was issued on Sunday. He is survived by his parents, wife, daughter, two brothers and two sisters. Zeenat is reported to have escaped a number of cordon and search operations in the last few years. Authorities, despite the internet clamp-down, had to face a serious law and order situation in the Zainpora belt. Shakeel Ahmad Dar, the militant who was killed with Zeenat, was a resident of Chillipora, barely two kms away from Sugan. Survived by his parents, four brothers and a sister, Dar was a science graduate from Degree College Pulwama. He had joined al-Badar on June 28, 2018, police sources said. There were minor clashes between the youth and the police in Kathpora. But the quick conclusion of the encounter did not escalate the tensions. The bodies of the slain militants were driven to their respective homes during the night and police expected that the early morning burial will not create any serious law and order situation. 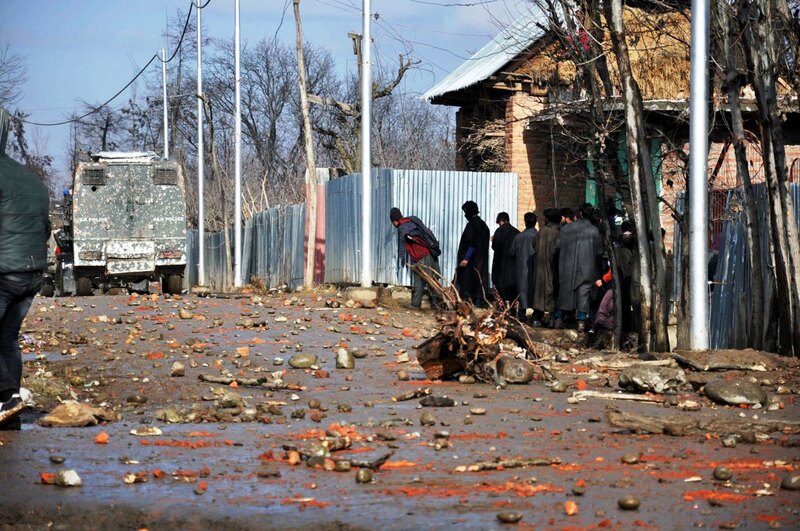 Unlike Anantnag and Kulgam districts, Shopian and Pulwama went into an instant strike on Sunday. However, from wee hours, people started moving towards the two villages, especially Sugan, the home of Zeenat. Police had raised overnight drop gates on the roads leading to the village but the massive rush of people made them redundant. At a few places where the counter-insurgent grid tried to interrupt the people, it triggered clashes. Most of the clashes were reported from the twin villages and the main factor responsible was that the security grid attempted discouraging people from participating in the funeral prayers, a decision that former Chief Minister Mehbooba Mufti termed “unfortunate and disturbing”. But what was fundamental to the crisis was Chillipora. A small village, it is home to a garrison of 44-Rashtriya Rifles. Incidentally, the camp is located in the middle of the village. The armed forces had taken extra-caution to ensure that was no law and order situation arises while the two slain militants are lowered in their graves. The soldiers made enough deployments around their camps and put up patrols around. They were also seen outside the spot where the funeral prayers for the two militants were scheduled in Sugan. Since thousands of people had converged in the two villages, it created a serious crisis. A group of men and women resorted to stone pelting on an armoured Casper vehicle and in panic, a young girl was hit by the vehicle. 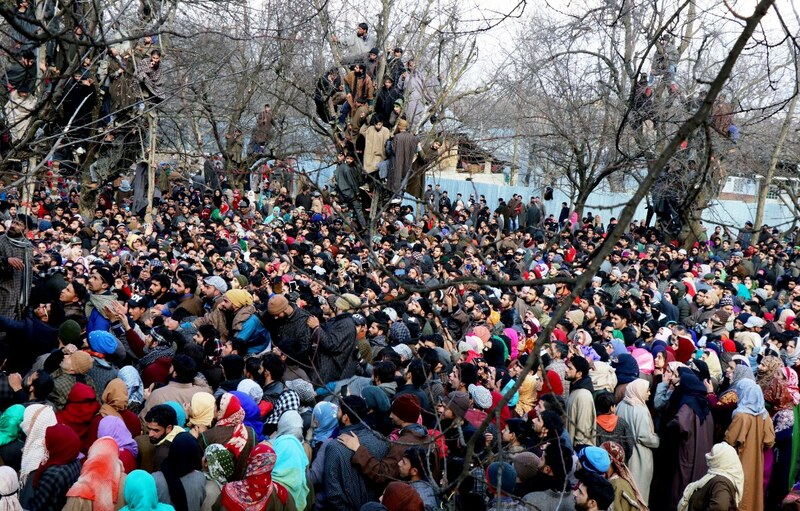 Later, the people took Dar, another slain militant, to his village for the funerals. 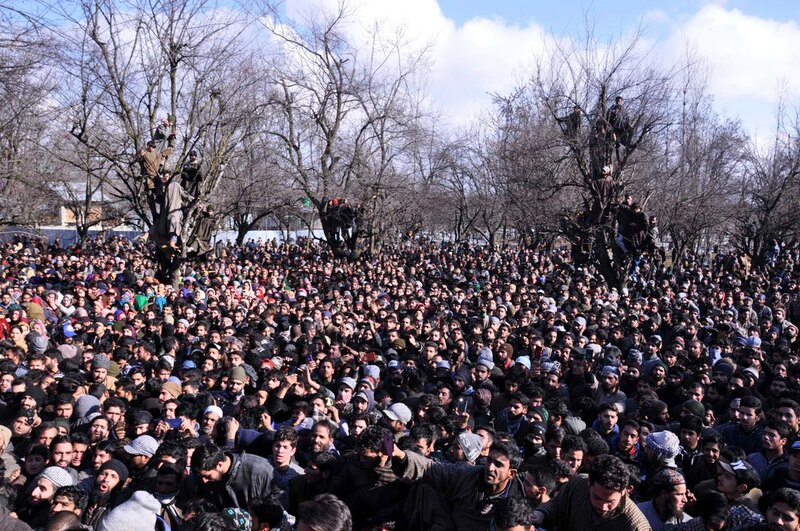 Both the militant funerals were attended by thousands of mourners. Later, both the villages witnessed intense fighting, especially after a number of youth, were injured. The hospital has shifted four bullet hit to SMHS in Srinagar. All the eight are stable and responding to the treatment in Srinagar and Shopian. 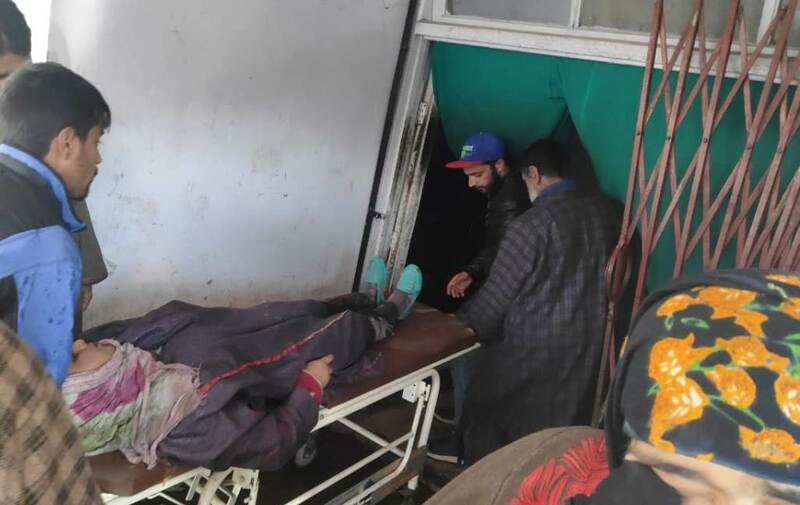 One of the injured admitted to Shopian was 13 years old. Identified as Irfan Ahmad, a resident of Gund-e-Darvesh, he has a bullet injury in his thigh. 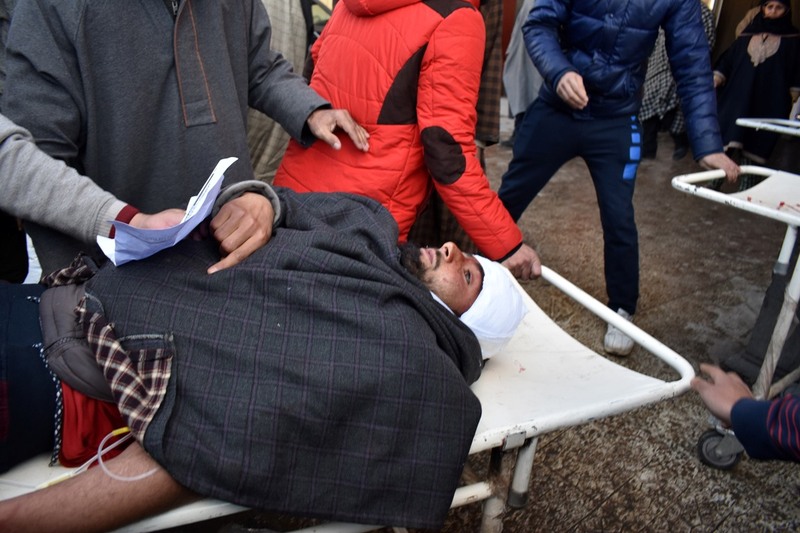 People carry an injured on a stretcher at SMHS hospital in Srinagar on Sunday, January 13 2019. Dr Parra said all the injured are stable, so far, including the one who was hit in his abdomen. Despite the military presence in and around the village, a group of militants made their dramatic appearance. They opened fire, apparently to salute their departed colleagues, as thousands of people captured the show on their cell phones. Both the slain militants were offered four rounds of funeral prayers before they were lowered into their graves in their ancestral graveyards. After the initial statement issued by the army confirming the encounter, the police issued two statements. In one, the police confirmed the encounter and the killing. Later, on Sunday, it identified the slain duo. The statement confirmed the killing of two militants and insisted that no collateral damage took place during the encounter. “Police has registered a case and initiated the investigation in the matter. Incriminating materials including arms and ammunition were recovered from the site of the encounter,” it added. Later, on Sunday, the police identified the slain duo. Kashmir entire militant brotherhood and the JRL leaders have paid tributes to the slain militant duo. Those who issued the statements include Hizb ul-Mujahideen, Lashkar Toiba and al-Badr. The latter’s statement indicated that he was associated with the outfit since 2004. The spokesman said that the priceless sacrifices offered by the youth of Kashmir are the greatest asset of Kashmir’s freedom movement and the resistance leadership and the people of Kashmir are duty bound to safeguard these sacrifices. The spokesman said that it was because of the stubborn approach of Delhi that Kashmir issue continues to remain lingering and that the iron fist policy of GOI was pushing youth to adopt armed means of resistance. Tehreek-e-Hurriyat Chairman Mohammad Sehrai in a statement said that the way people of Kashmir especially youth are offering priceless sacrifices for the freedom struggle of Kashmir and deserves nations salute that has already lakhs of sacrifices at its back and we are morally and religiously bound to safe guard such matchless sacrifices. Security forces and police should not handover the mortals of slain militants to their parents ,this is what they want to get more attention, sympathy and it certainly facilitate their aim to encourage more youth to join millitancy .